In between developing business strategies and plans, diversifying client bases, sourcing talents and balancing quality and growth, small business owners tend to forget to protect the continuity of their business by backing up business data. So far as computers and mobile devices are used in generating data, it will always be necessary to keep an up-to-date copy of business data. It’s not enough to save data on a single device or in online storage accounts. Perhaps, this explains why entrepreneurs see backing up data as a complicated and resource-intensive task. This article dismisses these misconceptions and provides cost-effective solutions for small business owners to back up their business data. This is your best bet if your company is relatively small and generates very low data. All you need to do is copy the contents on the internal drive of your computer onto a USB stick or an external drive. The advantage is that your data is available locally when you need them and the disadvantage is that just like your computer, the stick and the drive are susceptible to damage or theft. The trick is to pair them with a second back up option for a second layer of protection and added security. 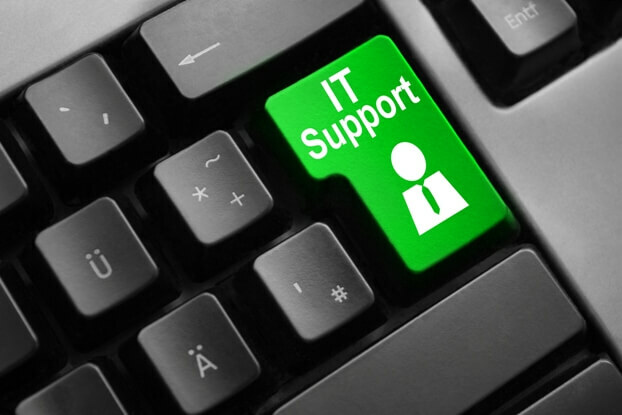 Cloud-based data backup solutions are often recommended by IT support companies and come with exceptional features that give business owners the peace of mind they deserve. Business owners need not worry about the physical backup of their files as data is saved directly to cloud accounts. iDrive and SOS Online Backup are two of the most efficient cloud-based data backup solutions for business owners. They offer several packages and options depending on the size and needs of your business. Dropbox is also one of the most cost-effective solutions for business owners looking to store and back up individual files and folders. Backups must be done manually by uploading files into Dropbox. Dropbox does not allow the upload and storage of entire computer systems. The pricing package offered by Dropbox ranges from $15 to $25 per month for 2TB and unlimited storage respectively. • It is convenient: For backup solutions like SOS Online Backup, uploading of files is automatic and not manual. Anytime data is edited, it is automatically saved to the cloud. • Reliability: All you need is internet connectivity, and you can access your files from any corner of the globe. Only remember to access sensitive or confidential information on a secure connection, not a public Wifi hotspot. • Unlimited storage: business owners can purchase as much data as they need. • Loss of critical data could put you out of business. The bottom line is that it’s wholly unnecessary to run the risk of losing your business data when there are simple and yet effective backup options available.